Today’s post came from a comment by Ashley from Germany. The comment probably ended up in my spam folder because her email address was from Germany. Akismet is usually correct, but it wasn’t that long ago that I found a comment from La Bella Vita Cucina in my spam folder, and that website is definitely legitimate. I thought Ashley’s question was a good one, so I decided to answer it in the form of a blog post. The answer to this question is really simple though some people would say that it is not. There are pros and cons to each type of platform, and your choice depends upon your blogging goals. I am definitely a fan of WordPress over Blogger, but there are other blogging platforms available, too. There are several free platforms to choose from. There are also several self hosted content management systems such as WordPress, Drupal, Joomla, Wix, and Weebly available for you to choose from. You don’t have any money to start your blog. You’re new to blogging and want to explore how things work to learn if it’s something you want to pursue. You’re blogging for fun, and aren’t serious about turning blogging into your next career. You don’t have to worry about updates to the software. 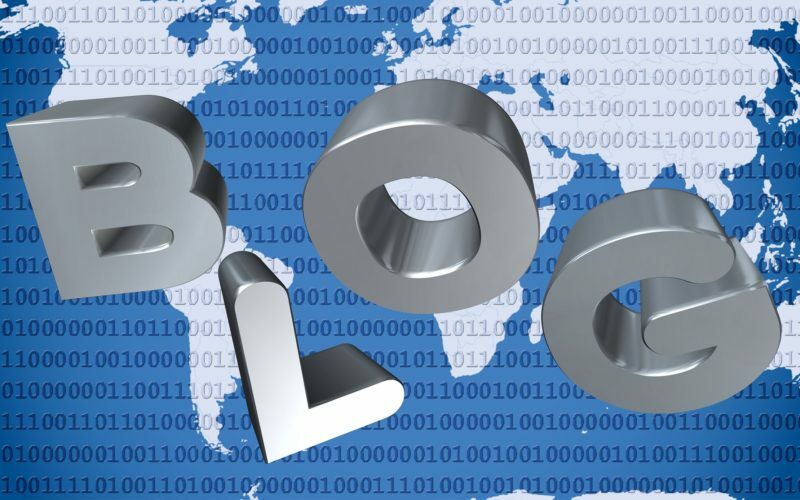 Because your free website is part of a larger network, this may result in additional traffic to your site because the network may feature your post on a “today’s blogs” section or refer people to the site based upon the categories or tags of your post. You are limited to the plugins that are already installed into the system you have chosen. You have limited storage space on your site. WordPress.com only allows you to have up to 3 GB of storage. You can arrange to have more storage for about $20 per year. If you want to monetize your website, you may find that you can’t do this with a free platform. Free blogging platforms may not like your content and can shut down your site. You can use any type of theme by choosing either a free one or have one custom designed for you. You can add plug ins to your site. Plug ins allow you to customize your site. Let me explain this by using your computer as the basis. If your computer didn’t have speakers, you could add them and plug them in to let you hear sound. Plugins allow you to limit spam comments, create pop ups on your site, etc. You can place ads on the site and gain revenue generated from those ads. It will become a regular expense that you need to plan for. Hosting costs anywhere from $6.oo per month to several hundred dollars per month for a very popular website. You will need to update the software and maintain the site OR pay for someone to do it for your. You will not be part of a network that will help direct visitors to your site. This means you may not have anyone reading your site. When I started Patty Cake’s Pantry, and typed it into a google search, it didn’t even show up. It took a while before people started finding me. Those are my best suggestions. If you’re not sure about blogging, I don’t see anything wrong with starting on a free platform, but I would advise that you buy the domain name you want before setting up shop. It only costs about $12 or less per year to own the domain. That way, if you decide to move from YourGreatWebsite.wordpress.com in a few years, you will already own YourGreatWebsite.com. It’ll make the move easier. When I started my site, I went for the three year plan of self hosting. I knew when I started that my intention was to try to monetize my blog. So far, that hasn’t happened, but I keep learning and will eventually get some revenue generating ads on the site. Ashley, I hope this answers your question. I hope this information is helpful to others as well. Great advice, Patty. I recently set up a website for my local museum. It was about $145 per year for the basic setup through a paid hosting plan and that includes owning the name of the domain. I made members of the board all administrators so anyone could sign in and make changes if they needed. Of course, most folks don’t know how to work in WordPress, so very few were active on it, except me. It’s not very expensive initially to have your own hosting, only a few dollars per month, but for some people, with limited financial resources, even that’s too much. As sites get more traffic, the hosting costs can increase to over $200/month. Regarding your museum website, I think you’re a very brave person to give everyone administrator access. I’d be afraid someone would destroy the site. The highest access I grant on my site is editor.